2017, though in terms of my family life the worst since I became an adult frankly (I won't start), began happily, in terms of my work (a great thing to always have work there for you), with another book, following Mysteries Unlocked, which I edited and contributed essays to, Murder in the Closet, which deals with queer themes in pre-Stonewall crime fiction. I've come across so many LGBTQ writers of pre-Stonewall crime fiction, never acknowledged by history as such, in my researches into crime fiction that it seemed to me I was well-positioned to spearhead such a book. It addresses what seems to me is still rather an overlooked subject within mystery fiction studies. 2017 ended with Pulitzer Prize and Edgar Award winning critic Michael Dirda, in his holiday book roundup in the Washington Post (wherein in part he mentioned Coachwhip's Roger Scarlett [Dorothy Blair and Evelyn Page] mystery reissues, for which I wrote the extensive introduction), calling me "the leading American scholar of the fair-play detective story." This was very nice of Mr. Dirda, and it is a great compliment coming from someone of his standing. I just wish I was able to get more done than I have, because I know I have it within me to do it. Michael Dirda is one reviewer who always takes care to pay attention to what small presses, not just the behemoths, are doing, which is mightily appreciated by hard-working and rather able small presses, I can tell you. 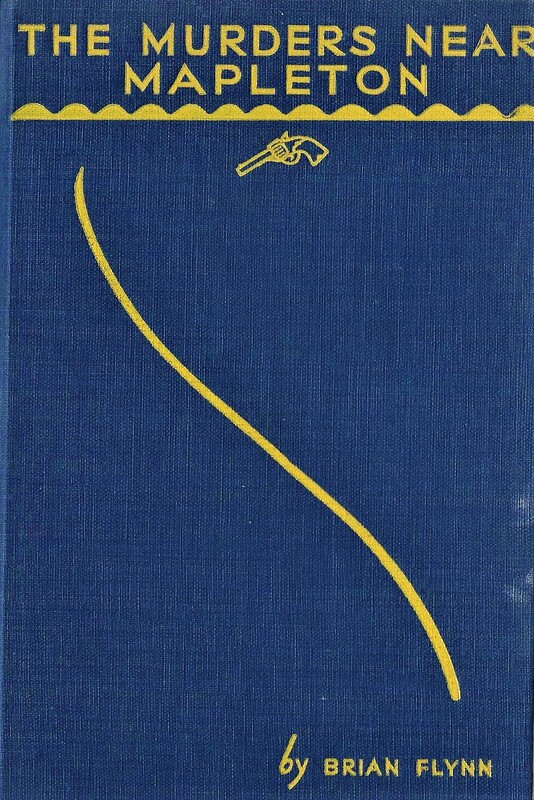 With Coachwhip I also wrote introductions for The Rumble Murders, by Mason Deal (TS Eliot's older brother Henry Ware Eliot, Jr.); Murder a la Mode, by Eleanore Kelly Sellars; Anonymous Footsteps, by John M. O'Connor; The Hex Murder, by Alexander Williams; The Owner Lies Dead, by Tyline Perry; Johnny on the Spot, by Amen Dell; and The Fires at Fitch's Folly, by Kenneth Whipple. I hope to do much more with Coachwhip next year. I also will be doing something with HarperCollins. I continue to work with Dean Street Press and with them helped bring out, and introduce, the important, though most unjustly forgotten, Thirties and Forties crime novels of Peter Drax. Books like those of Drax, which don't fit the accepted paradigm of the period in which they were published, seem to me to get get punished by posterity for not fitting people's preconceptions. It has been locked into so many people's minds for so long that between-the-wars British crime fiction was all about bludgeoned bodies of baronets in country house libraries or genteel spinsters politely nosing out bloody murdah in quaint country villages, that there is still resistance to much-needed revision, though many bloggers and website writers, including myself, have been speaking out for years about people like Drax (not the Guardians of the Galaxy guy). Since the British Library and HarperCollins have gotten into the game, with a slew of experts on English mystery on their team and most enviable publicity, more and more people who weren't in the know before are realizing both the variety and quality of classic crime fiction (which was not just British, although, when it comes to big presses, it seems to be Otto Penzler who is doing all the work with Americans). But the British Library takes more of a scattershot approach. Dean Street Press has committed to releasing entire bodies of work of British vintage mystery writers, including extremely prolific writers like ER Punshon and Christopher Bush. DSP completed the Punshon reissues last year and reissued the first ten Christopher Bush books in October. They will follow with the second ten in February. All of these books carry a general introduction by me, as well as specific ones, which try to illuminate particular aspects about each book in interesting ways for readers. I hope people enjoy the next set, I certainly did! I also enjoyed writing introductions to DSP's reissues of the excellent detective novels by the sadly short-lived author Elizabeth Gill. For me writers like Rufus King and Patricia Wentworth provide great escape reads when you need it. For all those out there who derive escape or diversion from crime fiction, cozy or otherwise, I hope I will still prove a useful guide to some of it in 2018. Postscript: Having learned a couple of days ago of the death from cancer of American mystery writer Sue Grafton (she of the beloved alphabet series), I hope to write a bit about her in the coming days. My sympathies go out to her family and her many, many fans, whom she entertained for more than three decades. "You devil! If words could burn, I'd rack the dictionary of Hell for your cremation--your blasted cleverness is inhuman!" Similarly Dean Street Press this year has reissued Christoper Bush's Dancing Death (1931), which if not quite a Christmas mystery in the purist sense is certainly a winter seasonal one. 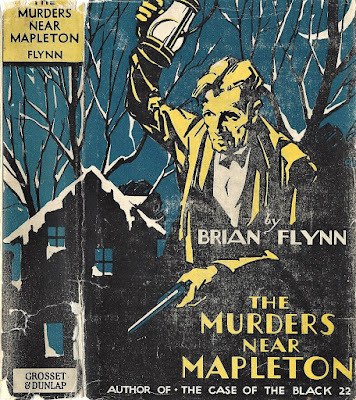 However, so far no one has snapped up Brian Flynn's The Murders Near Mapleton, a copy of which I have owned for a decade or more and now finally review here. Flynn is a writer my fellow blogger The Puzzle Doctor, a fine advocate, has been writing about a good deal lately. 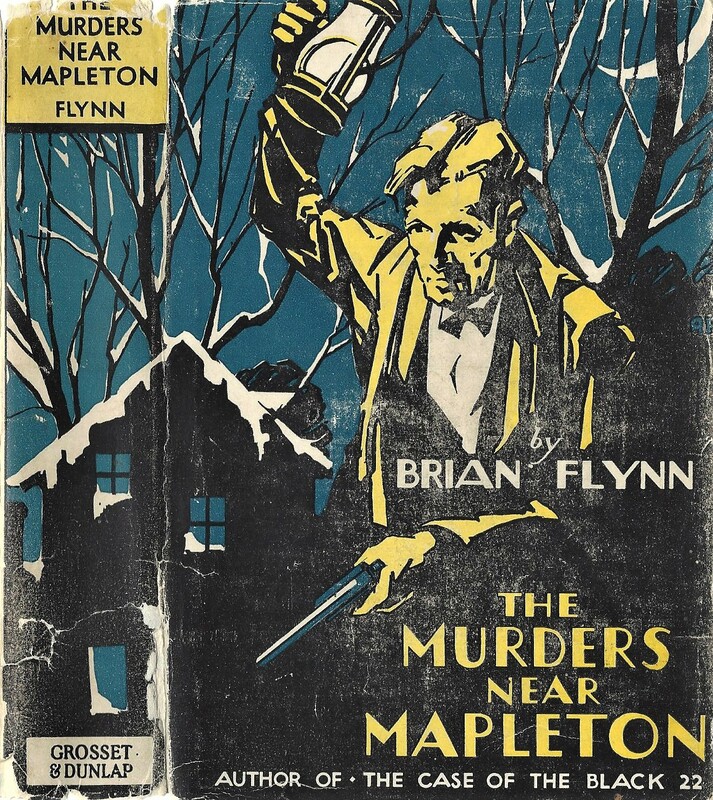 To be sure, the generic title of Flynn's The Murder Near Mapleton hardly gives the nature of the holiday show away, but the novel is indeed a Christmas mystery. Perhaps it needed to be titled The Merry Christmas Murders, or something more apparent like that. Mapleton has many of the classic elements that people never seem to tire of in a classic English mystery: Christmas, a country house, a party, snow, a brilliant amateur detective running circles around the obtuse professional investigator, and of course a jolly old spot or two of bloody murder. The novel opens at wealthy Sir Eustace Vernon's country house Christmas party, where the host is offering a toast to the "empty chairs"--little does he know that his own chair soon will become permanently empty of him! Before the night is over local police will find themselves tasked with investigating not only the murder of the popular Sir Eustace (shooting, made to look like suicide in front of a train, recalling a favored gambit of John Rhode), but also, in a pleasing twist, that of Sir Eustace's butler, Purvis (poisoning for this one). This is a wide array indeed of potential culpritude, though, truth be told, they all are cardboard creations. Reading Mapleton I almost was expecting the good Father to start talking about what the Knights Templars are up to these days, what sort of armor Joan of Arc was wearing at her last battle, what the look in illuminated manuscripts is this year, how the current Crusade is going down in the Holy Land and the like. But I'm of the school that we should not complain about stock characters in a classic-style puzzle mystery if the plotting is engaging; and I would say that in Mapleton Flynn has constructed a sufficiently interesting plot, with some nice twists, which can't be divulged here in detail of course. One of them, however, oddly is the same as a singular twist that appeared in a much better known mystery novel published the same year--though the implications, interesting to modern students of gender studies, are not explored by Flynn, who as an author is interested, in my impression, not in psychology but plot. Flynn's amateur sleuth, Anthony Bathurst, is a great pal of Sir Austin Kemble, Commissioner of Police; and the latter worthy pretty much allows his clever gentleman friend to stride over the field of investigation like a Greek god come down from Mount Olympus. Of course Bathurst, once brought on the scene in a most unlikely way, does solve the case, based on deductions that are adequately demonstrated to the reader near the end of the novel. Often the writing tends to be on the stodgy side (see the opening quotation to this piece), though occasionally there is a pleasingly bright patch of writing. Perky housemaid Palmer observes at one point, "some of these policemen can read crimes into anything you do--innocent though it may be. And it's worse since good old Edgar Wallace showed 'em up so in The Ringer"--this a reference to thriller titan Edgar Wallace's crime play, a smash hit on the London stage in 1929. Wallace, the wags said, kept more women up at night than any other man in England. All in all, I would say The Murder Near Mapleton is a meritorious example of the pure puzzle type of detective novel that a certain type of mystery fan still clamors for today. Let's help make next year's yuletide gay by gifting readers with a Brian Flynn. I have a certain feeling he will be coming back in print. Marian Babson (1929-2017), who recently passed away in London at the age, I believe, of 88 (see Martin Edwards' notice), enjoyed a career in crime fiction that spanned over four decades, from 1971 to 2012. When Babson's first crime novel--an amusing tale of detection called Cover-Up Story (more on this novel to come)--appeared in 1971what had come to be considered "cozy" British crime fiction was still being practiced by some of its original innovators, including the seemingly imperishable and indefatigable Queen of Crime herself, Agatha Christie, who that year published the beguiling Nemesis, the last of the Miss Marple mysteries she was ever to write. In truth Christie was very near the end of her writing life, with just two more newly-written books to come: the sadly rather dire Elephants Can Remember and Postern of Fate. Marian Babson's 45 crime novels often are sweepingly consigned to the "cozy" category, but this label, which has been used to encompass writers as diverse as Christie, PD James and MC Beaton, can be misleading. Over her long writing career, Marian Babson produced different types of mysteries: manners mysteries in the classic style, more broadly humorous tales, tense suspense, some grim melodrama and in the later phase of her career, cat cozies. 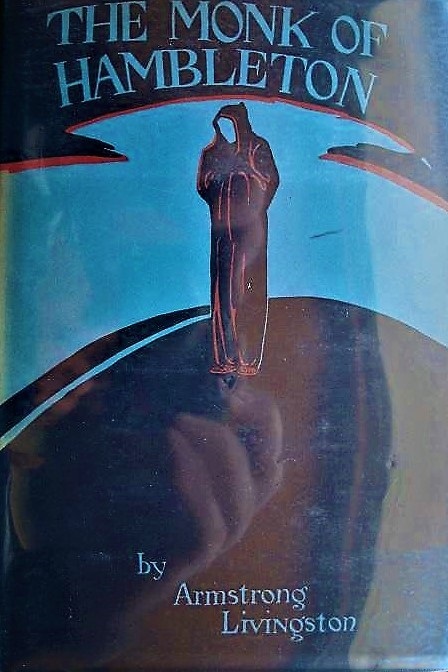 I used to frequently see Babson's works in Baton Rouge used book shops in the 1990s, when I recall reading and enjoying The Twelve Deaths of Christmas and Death Beside the Seaside, to name two I recollect. Since then Babson's books seem to have gone entirely out of print; yet I don't believe that this is due to a lack of popularity. 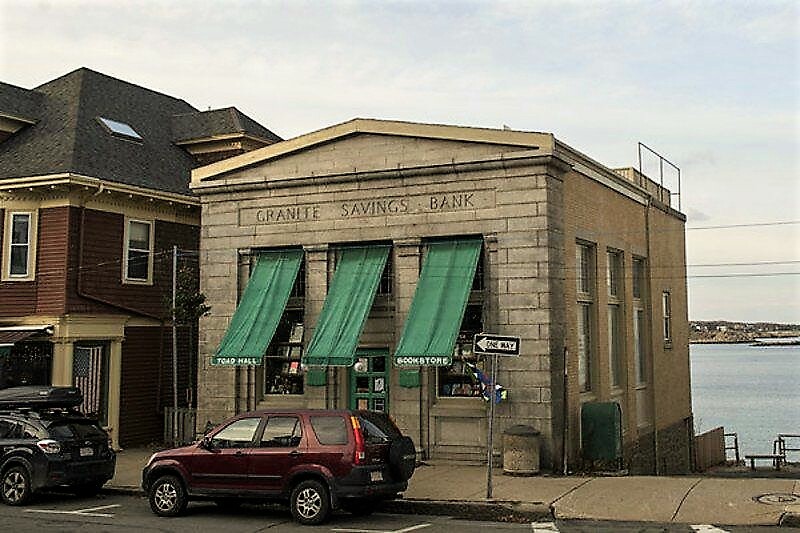 In her later years the author, once a mainstay of the lending library circuit (for which she was honored by the Crime Writers Association), may not have been able properly to manage her estate. 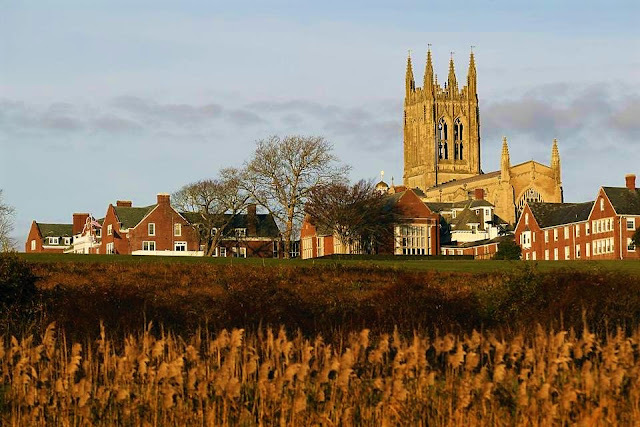 Two years ago Babson made the British and internet news when it was learned that the octogenarian author, wheelchair-bound and suffering from dementia, had been victimized by her caregiver, who had looted 27,000 pounds from her account. Babson eventually tumbled to the fact that a very large sum of money was missing, and she contacted the police herself. Her uncaring carer was arrested, tried, convicted and sentenced to a 14-month term of prison, but since then Babson's health unfortunately continued to fail. As crime writers Martin Edwards and Dean James have attested, Marian Babson was a beloved member of the mystery-writing community, a stalwart at conventions, longtime secretary of the Crime Writers Association and a member of the Detection Club; but not a great deal seems to have been known about her personal background, even by her colleagues. Most of Babson's mysteries are set in the United Kingdom, though the author was in fact an American by birth. 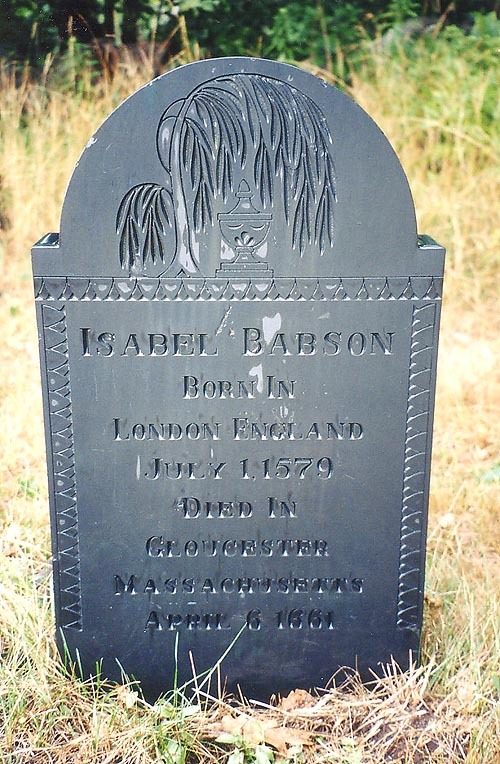 Invariably it is stated that Babson was born in 1929 in Salem, Massachusetts, cite of the notorious 17th century "witch" trials. 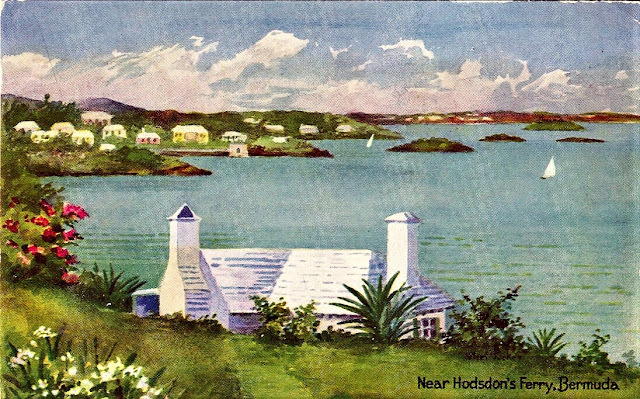 Babson indeed was born, according to my research, on December 15 of that year; yet in 1930 her family was living about 20 miles away from Salem, in Rockport, a fishing town and artists' colony located on the tip of a peninsula directly east of the port of Gloucester, a place with long associations with many of Babson's ancestors. Babson's real name was Ruth Marian Stenstreem, the author having drawn her pseudonym from her middle name and her Babson family line, which came down through her paternal grandmother. Her parents were Earl and Catherine (Coyne) Stenstreem. Marian appears to have been an only child. Earl, a gardener, was the only son of Charles Stenstreem, Jr, who died not long after his son was born (early death formed a common pattern among the men in Marian's family), and Alphonsa Babson. 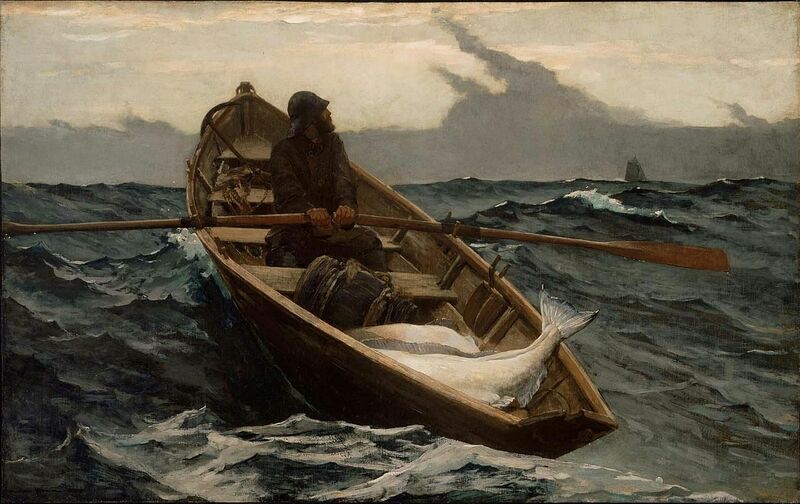 Charles, a ship caulker, was the son of Charles Stenstreem, Sr., a fishing boat captain who was lost at sea in 1890, and Hulda Hanson, both of whom were Swedish immigrants. Marian's mother, Catherine Coyne, wove another strand into the author's ancestral tapestry: she was a daughter of Patrick Martin Coyne and Mary Dever, who hailed from, respectively, the highly euphonious Irish communities of Doocastle, County Mayo and Letterkilley, County Donegal. 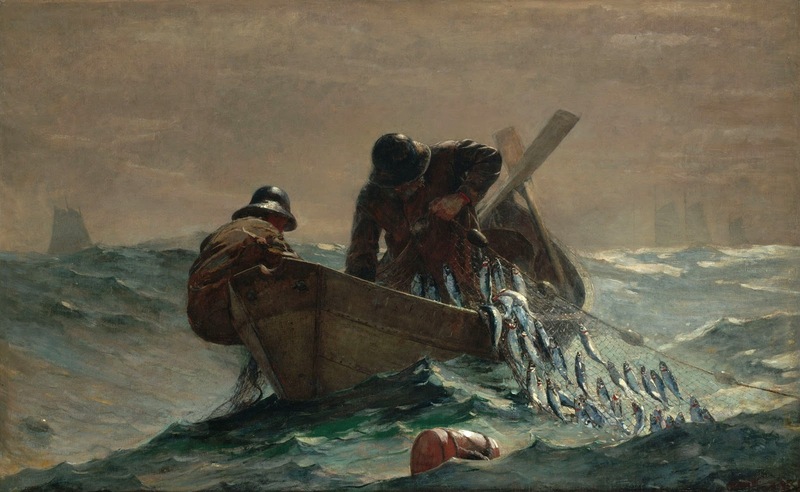 Patrick Coyne, who arrived in the US as a teen and was naturalized in 1893, was a successful painting contractor who with his family resided in Salem at a splendidly situated Victorian house overlooking the ocean that Patrick and Mary crossed to reach America. 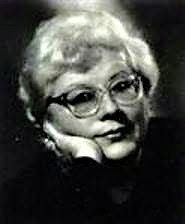 Marian, who after the Second World War visited Ireland, made use of an Irish setting and Irish issues in at least one of crime novels. Five years later Isabel moved to Gloucester, where she was a highly respected nurse and midwife. Gloucester honored the memory of Isabel Babson with the Isabel Babson Memorial Library, which specializes in books for expectant mothers, and the Isabel Babson Maternity Wing at Addison Gilbert Hospital. 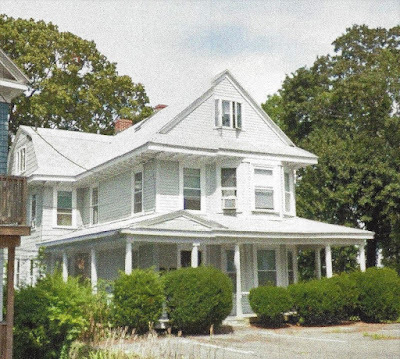 Alphonso's father, Gorham Babson, was a prominent Gloucester merchant and shipowner and member of the Universalist Church (meaning he was a believer in universal salvation), as well as a State Representative for one term and Gloucester's Collector of Customs. His grandfather William Babson was lost at sea in 1777 aboard the Gloucester, a brig fitted for privateering during the American Revolution. After capturing the British brig Two Friends off Newfoundland and unloading at home the ship's valuable cargo of wine and salt, the Gloucester returned to battle, if you will, but was never heard from again, along with its 130 man crew. 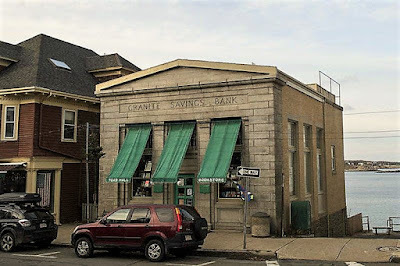 One might have thought that with this background Marian Babson might have devoted her crime writing career to quaint regional New England mysteries, like Phoebe Atwood Taylor; yet I don't believe she wrote a single such one, strangely. 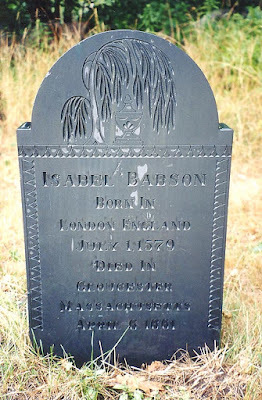 Marian Babson quite clearly was, like a lot of mystery mavens, an ardent Anglophile; like John Dickson Carr before her; and at some point in her life she settled permanently in London, where she found much of the material for her stories. 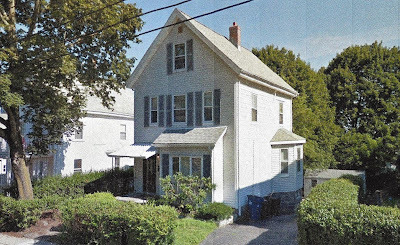 I've seen claim made that Babson moved to England in 1961, but records indicate that throughout the Sixties she maintained a residence at 155 Bennett Street in the Brighton neighborhood of Boston, where she had lived since the early 1950s, when she worked as a librarian and stenographer. On the other hand, records also indicate that from at least 1967 to 1982 Babson lived in a flat in King's Cross, an area that has been described as having been made notorious by the Eighties for its prostitution and drug abuse, though relatively cheap rents and its central London location made it appealing to artists and designers--and perhaps mystery writers! Certainly the district offered good copy for a crime writer, of which Babson made considerable use in some of her novels. I plan, events permitting, on writing in detail about some of Babson's books soon. She was an interesting writer and I hope her work is reprinted and her memory made secure. I'm sure a lot of the readers of this blog used to read her like I did. One reason I like reading mysteries is that from them I learn about subjects concerning which I often know, quite frankly, dismayingly little--all the while still getting to enjoy a nice little murder. This is part of the reason I enjoy Golden Age greats like John Rhode and R. Austin Freeman. I barely got through chemistry in high school and didn't dare dream of taking physics (it would have been more like a nightmare, actually); yet as an adult I came to hugely enjoy reading these two masters of the so-called "humdrum" mystery ingeniously apply science to deft criminal devices in their baffling books. On the other hand, in college I minored in English and American literature and I don't so much share the fascination many vintage mystery fans have with the game of literary quotations that some GA mystery writers reveled to play. (I'm looking at you Dorothy Sayers and Michael Innes!) Too much shop, I suppose. Similarly, I majored in history, in fact received a PhD in American history and briefly taught it, but I'm not so fascinated by consciously "period" mystery either--unless we count as "period" mystery the mysteries written in the 20th century. (I do have some exceptions too, like John Dickson Carr's brilliantly conceived The Devil in Velvet). My Mother grew up in a small town (village, really) in the "Dutch" (i.e., Deutsche) region of Pennsylvania, another fascinating region, something to which I alluded in my introduction to the recently reprinted vintage mystery The Hex Murder. Between 1930 and 2000, the population of my mother's home town grew by all of 39 people, from 637 to 676 (though there was a boom the decade after that, with the pop. going all the way up to 765). 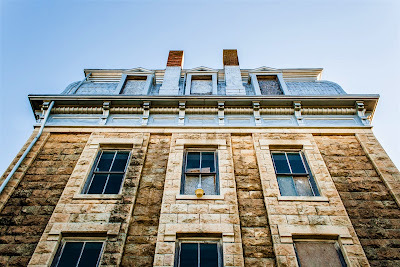 I found that fascinating small-town environment as well in Atoka, Oklahoma, where GA crime writer Todd Downing grew up, and I wrote about this in Clues and Corpses, my book on Downing and his crime fiction reviews. It's this same quality that I find and enjoy in Bill Crider's Sheriff Dan Rhodes mysteries, set in Clearview, Blacklin County, Texas, somewhere between Dallas and Houston in the southeastern (more traditionally southern) part of the state. The Crider books are cozies, I would say, complete with the sheriff's pet animals (there about have to be cats and/or dogs in a modern cozy, I contend); but what is distinct about them is the strong sense of place and the gently wry humor. Also, I would argue, the books work better as puzzles than many modern cozies. Bill Crider gives the satisfaction of actually providing the reader with, well, clues. This is not something you always get from, say, MC Beaton. 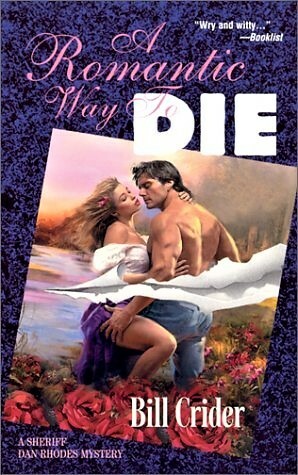 One of my favorites in the Dan Rhodes series is 2001's A Romantic Way to Die, this in part because it deals with another foreign subject to me: the world of romance fiction. The late Robert Barnard, the son of a romance novel writer (his father, not his mother, his father having written under a pseudonym as I recall), bumped off a romance fiction queen three decades ago in his mystery Death in Purple Prose, but Bill Crider in his book takes out a local aspirant to that exalted status. This violent death takes place at a writer's conference at another small Blacklin County town, Obert, an even more obscure community than Clearwater--though we learn that, on account of its hill, "the highest point between Houston and Dallas," the little town "had at one time been considered as a possible location for the Texas state capitol." After losing out to victorious Austin, "Obert had sunk into an extended period of obscurity, its only claim to fame being the small private college, which had been founded shortly after the Civil War and had struggled along under the management of one denomination or another for nearly a hundred years before closing its doors forever in the early 1960s." 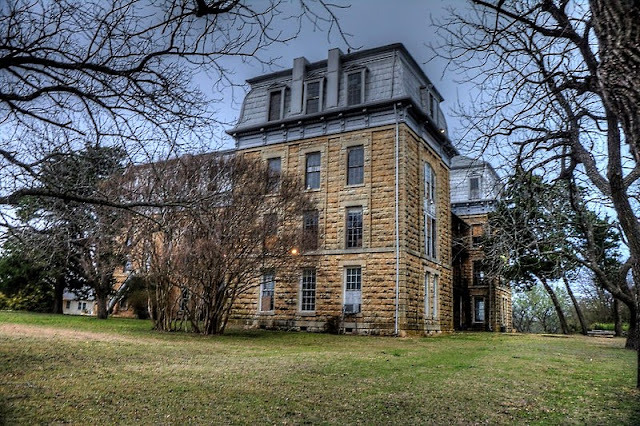 Readers of A Romantic Way to Die learn that a previous Dan Rhodes murder investigation (chronicled a decade earlier in Booked for a Hanging) involved the defunct Obert college--clearly an ill-starred place indeed! The big draw at the conference is not organizer Vernell Lindsey, a local woman who has just published a successful romance novel, but the spectacular--or should I say pecstacular--Terry Don Coslin, another local success story. A popular romance novel cover model with "rock-hard pecs," his great ambition is to become the new Fabio, getting on the cover of every historical romance novel published. 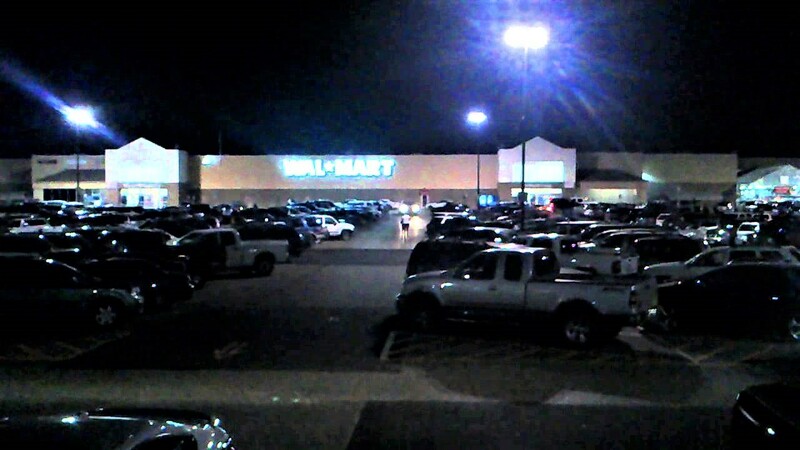 Sometimes it seemed to Sheriff Dan Rhodes as if the Wal-Mart were, in fact, the only store in town, and that half the population could be found there at any given hour. Which wasn't too far from the truth, considering that the downtown section of Clearview had virtually disappeared over the course of the last few years. Well, it hadn't disappeared so much as been abandoned. And then some of the buildings had started falling down. Rhodes didn't much like to drive through what was left of the downtown these days. But as the downtown had crumbled, the area around the Wal-Mart had thrived. There was a new restaurant called the Round-Up, a new car dealership, a Sears catalog-order and appliance store, a big grocery store, and even a McDonald's. No wonder the parking lot was crowded. 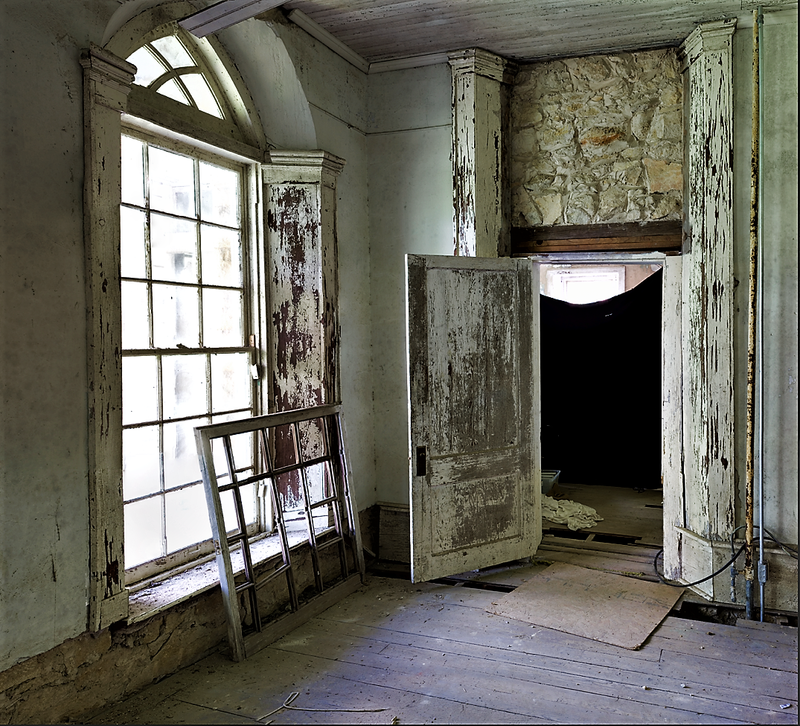 When back in April I was spending a lot of time in Holly Springs, Mississippi, a lovely old southern town where my father was undergoing rehab, I saw at first hand some of the phenomenon Bill Crider describes in the above passage. The local Wal-Mart was packed! All. The. Time. Happily, however, the wonderful downtown area with its fabulous courthouse square still is very much alive and well. At Obert's romance fiction conference Terry Don--he of the rock hard pecs--is a rooster in a hen house, if you will. Soon claws are out and feathers are flying, much to Thomas Chatterton's mortification! Under the circumstances it's not so shocking when a woman is found dead from a blow to her head. Sheriff Dan has only started investigating this death when another conference participant falls--or is pushed--from one of the old main building's windows. 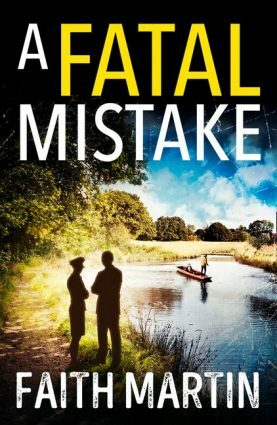 Sheriff Dan and his deputy, Ruth Grady, had better get moving on this case quick, before someone else is bumped off at this deadliest of literary dos. The pair finds that there is rather a lot of dirty laundry to sort though! I've always assumed that Bill Crider's home town of Mexia, Limestone County, Texas, was the inspiration for Clearwater, but I'm certain that the tiny town of Tehuacana (pop. 283), in the same county, is the inspiration for Obert. Tehuacana, like Obert, lost out in the battle to become capital of Texas. Afterward the town sank into obscurity, especially after it lost Trinity University, to which it was home between the school's founding in 1869 and its transfer to the town Waxahatchie in 1902. 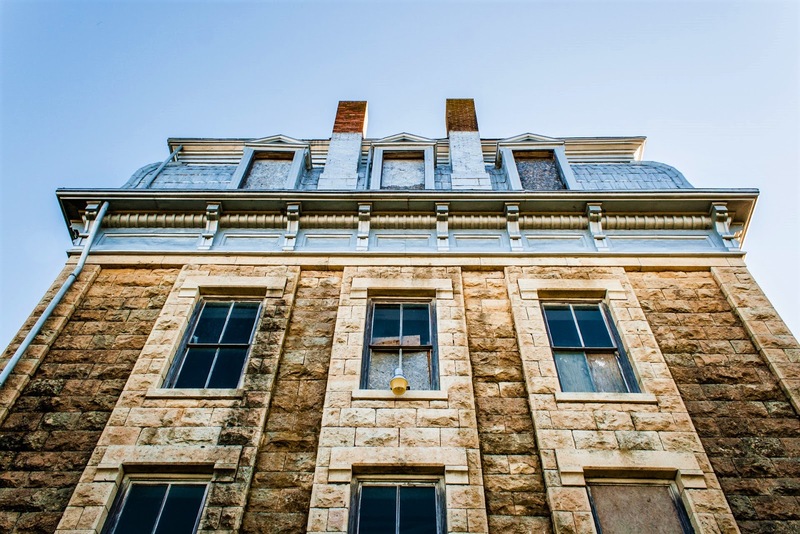 The splendid old mansard-roofed, Second Empire main building of Trinity University, Tehuacana is still standing today and seems clearly to have been Bill Crider's inspiration for Obert's Old Main. I love a mystery with a strong sense of place, and Bill Crider's books always have that, A Romantic Way to Die being no exception. The romance novel material is another plus for me. Bill Crider is amusing in his take on this branch of fiction, without being condescending. After all, he notes, the people who don't want to write romance novels, all seem to want to write mysteries. To each her own when its comes to genre fiction, I say! I learned a bit about the cover boy biz in A Romantic Way to Die. Romantic fiction is directed almost entirely at straight women (though there is gay romantic fiction as well, much of it written, often mashed up with mystery, by the awesomely prolific Josh Lanyon, a contributor to the book Murder in the Closet); and in catching buyers' eyes the male cover model thereupon is much more important than the female cover model--this in stark contrast with the hard-boiled paperback fiction of the 1940s/50s. Just as those beautiful dolls on mid-century crime fiction paperbacks always seemed to be popping out of their dresses, the male lovelies on the covers of romantic fiction can't seem to keep their shirts buttoned (or even on, frequently). Hence the need for those "rock hard pecs"! 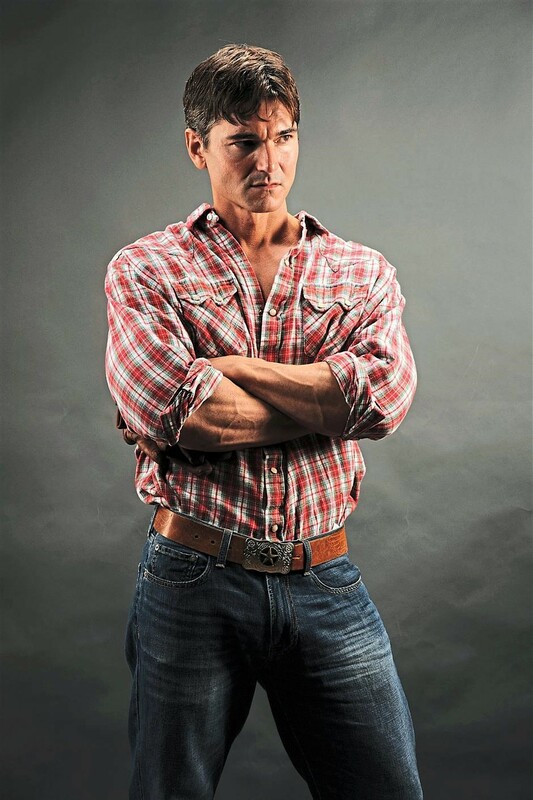 It almost seems like Bill Crider anticipated the remarkable career of Jason Aaron Baca, who in 2017 passed Fabio as the model on the most romance novel covers--over 500 in the last decade! That's a lot of romance for one mortal man. Jason Aaron Baca is clearly the man Terry Don Coslin wanted so fervently to be in A Romantic Way to Die. What happens to him and the other characters in this clever tale may not be romantic, but it sure is entertaining! Read it and see for yourself. In the novel, incidentally, the character of Thomas Chatterton always makes sure to remind people, almost always unnecessarily, that he is "no relation to the English poet," referencing the tragic 18th century youth of the same name. 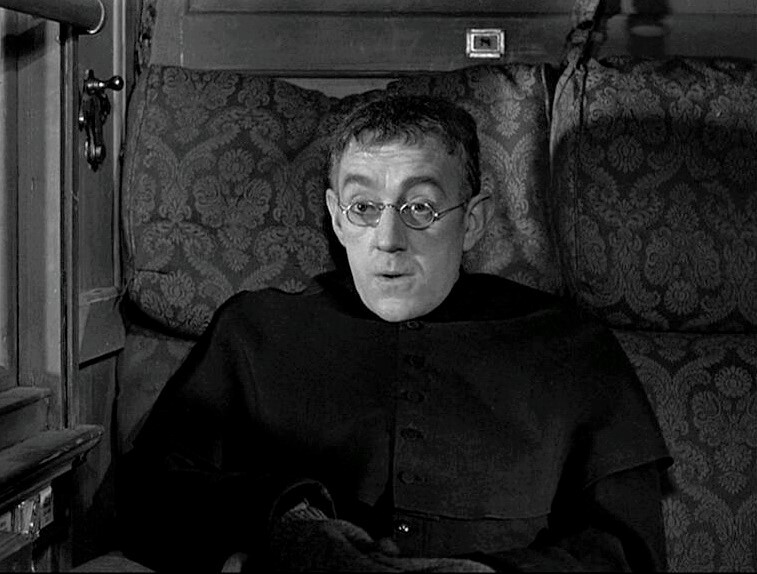 You know who else drops Chatterton's name into one of his detective novels? Michael Innes! So, you see, Bill Crider is folksy yet literary too. A man of parts, and the mystery world is richer for his three decades of crime writing. See also my review of Bill Crider's A Mammoth Murder (2006). As in the case of crime writer Rufus King, who through his mother, Amelia Sarony Lambert King, was related to the Saronys, including Napoleon Sarony, the renowned 19th-century celebrity photographer, some of the most interesting relations of crime writer Armstrong Livingston are found on his mother's side of the family. While Livingston's wealthy and socially prominent paternal relations were comparatively easy to locate, however, his maternal ancestors offered more of a tangle. Much has been untangled, however. Armstrong Livingston's father, criminal defense attorney and assemblyman Robert Armstrong Livingston, wed Florence Olivia Scott at St. Bartholmew's Episcopal Church in Manhattan in 1882; and Armstrong, the couple's only child, was born three years later. Along with two other weddings performed that day, the lavish Livingston-Scott nuptials were given a sizable write-up in the New York Times society pages, under the the rather flaunting headline, "Three Fashionable Weddings [couples named]--Costly Presents." Guests at the Livingston affair included Livingston's fellow assemblymen Theodore Roosevelt and Hamilton Fish II, who politically went on the bigger the things (the Presidency of the United States and the US House of Representatives; Fish was also the political "boss" of Putnam County, New York, whence Livingston came), as well as Stuyvesant Fish, future president of the Illinois Central Railroad, and William Kissam Vanderbilt, a grandson of the late Cornelius Vanderbilt and then the wealthiest man in America. The presence of all these swells kind of makes me feel sorry for the two other couples who also had their weddings take place that day! Good heavens, was there enough society to go around? Ranney, a beloved figure in Vermont who had served in the state as lieutenant governor. He had two other sons who became doctors in New York: Lafayette Ranney, who for many years was a city police surgeon, and James Ranney, who served several tears in the city as a coroner. 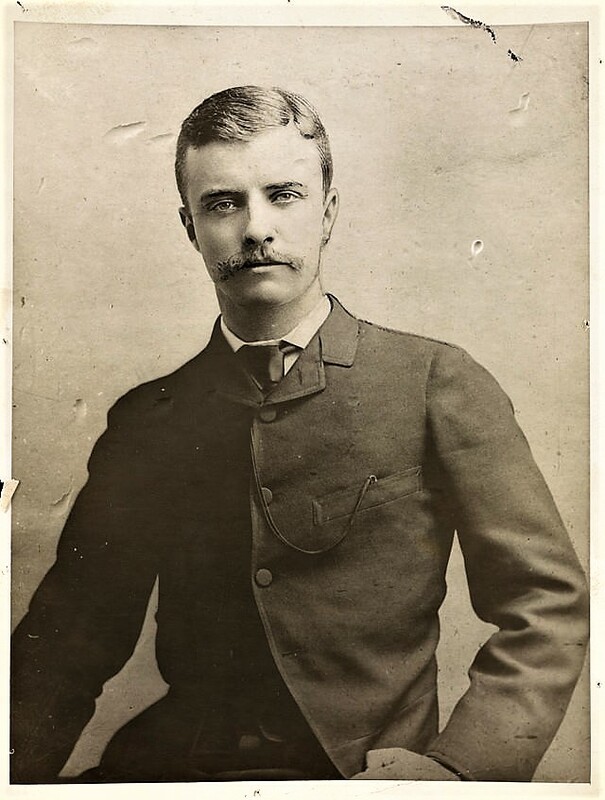 Evander Ranney was the second of three husbands of Armstrong Livingston's maternal grandmother, Olivia Griffith Hoyt (1835-1912). More on Olivia in a bit; in the meantime, on to her first spouse! The first husband of Olivia Griffith, as she was then known, was John Hanby Scott, a figure who remains rather nebulous, though I've sketched in quite a bit of his canvas. John Hanby Scott was born on September 23, 1828 in the Yorkshire (West Riding) city of Sheffield, England, and died prematurely at the age of 39 in Queens, New York on July 15, 1868. John was the son of James Scott (1796-1870) and his first wife, Sarah Margaret Sellers (1798-1829). Sarah Sellers Scott having died when her only child was but a baby, James, I surmise, committed the boy to the care of relatives. These relatives possibly included John Sellers (1793-1855), a Sheffield manufacturer of pen-knife blades, surgical instruments, razors and engravers' plates and tools (see above). 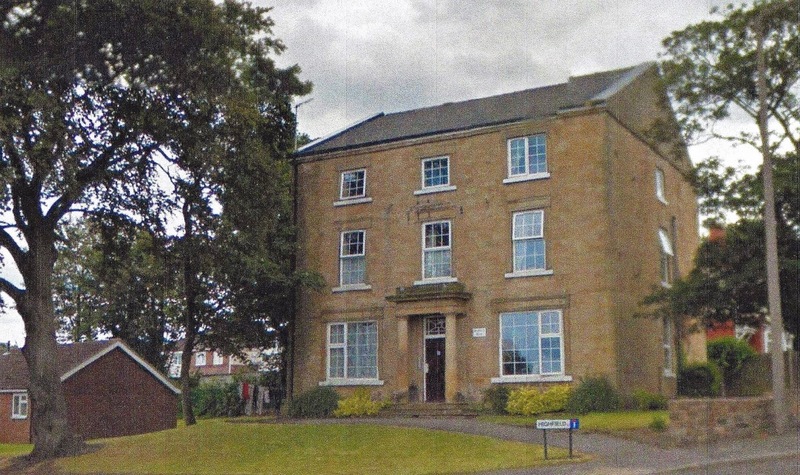 Little more than a year after his first wife's death, James Scott wed Matilda Barton, who with her sister Mary, ran a "School for Educating Young Ladies" at imposing Highfield House in Wath-upon-Dearne, a town about 12 miles distant from Sheffield. Mary Barton married at this time as well and left Highgate House, but Matilda, along with her husband James, a drawing master, maintained the establishment for the next four decades, until James' death. James Scott probably was the son of a wood carver and gilder from Grantham, Lincolnshire and he definitely was the nephew of Abraham Hanby of Bridgehoueses, Yorkshire (is this connected with the abandoned railway station in Sheffield? ), for whom he partly named his son. Not long before his own death in 1870 James erected in the cemetery as Wath-upon-Dearne a memorial stone in memory of both his uncle and his son, who of course had recently died abroad in New York. In New York, John Hanby Scott was a merchant in Queens who with his family resided at 80 Jamaica Street, but beyond that I know nothing about the man's career. Certainly his widow married well in her second husband, Dr. Ranney, as did his two daughters (at least monetarily), these being Armstrong Livingston's mother, Florence Olivia Scott (1862), and Armstrong's maternal aunt, Julia Hoyt Scott (1858-1936). Two years before her sister, in 1880, Julia Hoyt Scott wed Captain Edward Arthur Johnson, of Thornhill House, Wath-upon-Dearne, the locale of Highfield House, her late Grandfather Scott's educational establishment for Victorian misses. is of an old English family, inheriting large wealth and a fine estate in Canisbrough, England [sic], upon which the pair will take up their residence after making a tour of the United States, and visiting Saratoga, Newport, and other Summer resorts. The next year Julia and Edward were residing at the aforementioned Thornhill House, where Edward had followed in the professional path of his father, William Johnson: he was a wine and spirits merchant. Readers of the Times 1880 wedding account might have been forgiven for expecting the Johnsons to have been longtime quasi-feudal landowners, but such was the case! Perhaps Florence's and Julia's merchant father, John Hanby Scott, had been a dealer in wine and spirits as well. Unfortunately the marriage between Julia and Edward ended less than a decade later in divorce. 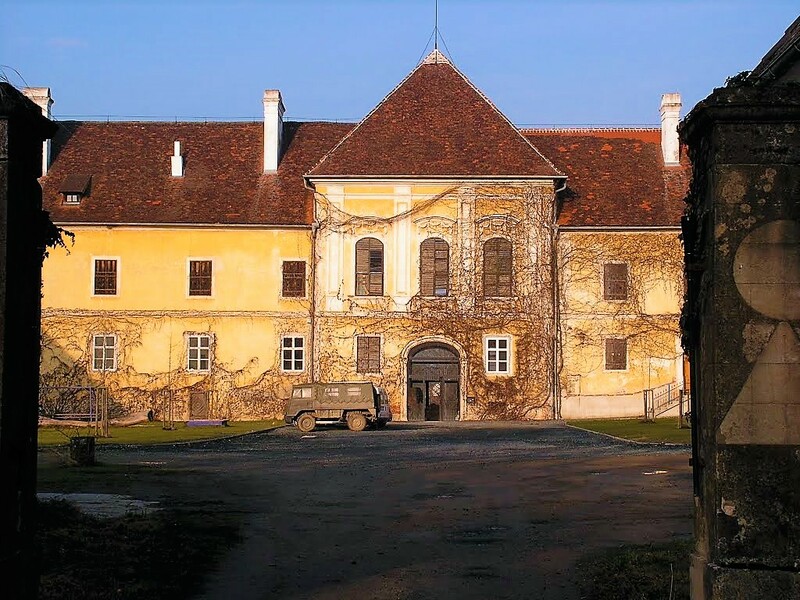 In 1892, however, Julia married into genuine nobility when she wed Jean Ladislas Louis Gilbert George, Count Erdody, of Gyepufuzes, Austria-Hungary (today Kohfidisch, in the state of Burgenland, Austria), where the Erdody family had long maintained "small palace," today called Schloss Kohfidisch. Julia may not have found herself a prince, but she did catch a count, and she could finally say, without too much exaggeration, that she lived in a castle. Which was appropriate enough, for her (and Armstrong Livingston's) ancestors were descended from French nobility, though admittedly of a rather quirky quality. More on this soon. 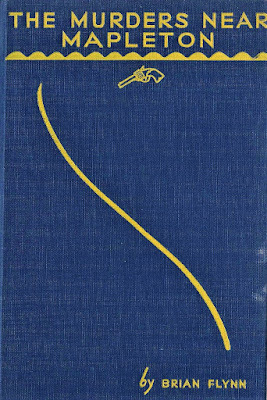 Crime writer Armstrong Livingston dedicated his mystery novel The Monster in the Pool (1929)--to be reviewed here soon I hope--to his lone paternal aunt, Frances Livingston Glover, who, like other members of the author's father's side of the family, lived a life of considerable wealth and privilege. Born in 1849, Frances Glover turned 80 in the year of the publication of The Monster in the Pool, suggesting that the book dedication may have been a sort of gift to the old woman from her 44-year-old nephew. Frances, one of two elder siblings to Armstrong Livingston's father, noted criminal defense attorney Robert Armstrong Livingston, wed wealthy insurance and real estate broker James Andrew Glover in 1888, three years after the future author's birth, and with Glover she had three daughters. 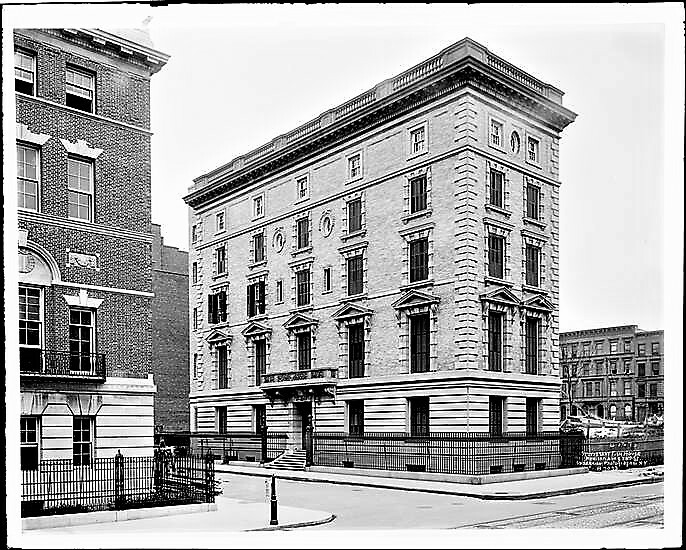 After leaving prep school, Armstrong Livingston entered his uncles's business and resided for a time in the Glover's Manhattan household, which then consisted of his uncle and aunt, his three girl cousins and four Irish-born house servants (a cook, waitress, laundress and maid). 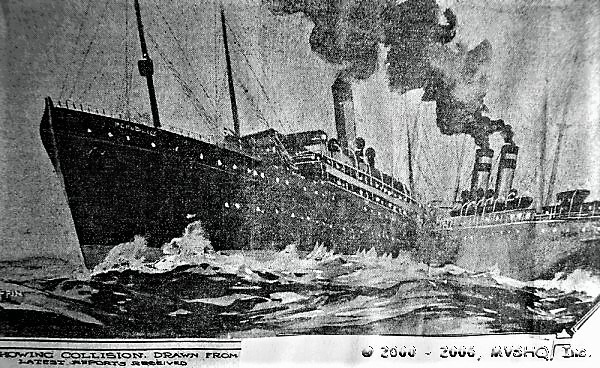 With the Republic sinking to the bottom of the ocean, its passengers and crew were transferred to the Florida, leaving this ship, which had its own complement of 900 Italian immigrants, dangerously overloaded. Fortunately, RMS Baltic arrived to share some of the human burden. During the transfer, however, a riot nearly broke out among the Italian immigrants when they were required to remain on Florida until the first-class passengers from Republic had been transferred. Susanna Glover responded by taking matters firmly in hand. When she left Florida for Baltic, she carried with her two Italian babies, one tucked under each of her arms. It's something I would have liked to have seen! The wreckage of Republic was located in 1981, not far from that of the better-remembered SS Andrea Doria. Salvage operations have been made, rumors having long swirled that the Republican was loaded with Russian gold. More coming soon on Armstrong Livingston's interesting maternal side of the family--the Anglo-French side. [Is he] [g]enerous? Or just another millionaire?" "Very generous. He's paying all expenses, and even that didn't stop him from recommending [we stay in] the [swanky] Century Hotel in Prescott." "Thank goodness! This firm has needed a customer like that for some months/" Mr. Hibbert's eyes took on a dreamy expression. "Only the other day I saw the most exquisite chinchilla wrap in a Fifth Avenue window, but I knew I had no more chance of getting it than if I'd been your wife." "Tommy!" expostulated Denise in her soft warm voice. She was properly scandalized. "If somebody should hear you!" "Jimmy [said Tommy]--I'm going to like Prescott!" "It's a queer place and it takes a queer person to like it." The detective [Jimmy] glanced across the table almost fondly. "You're the greatest little vamp that ever dug for gold! I'm sure I don't know why Matilda objects to kissing you, Tommy--there are moments when I feel like doing it myself!" "What can I do for you?" he asked dulcetly. "Yes. Any form of depravity you may have on hand." Jacket by the great Arthur J, Hawkins, Jr. Brutal murder in the American Midwest, in a tome entitled In Cold Blood? I know what you're thinking, but before there was that scion of the Deep South, that marvel of Monroeville, Truman Capote, there was crime novelist Robert Armstrong Livingston, of the New York Livingstons, don't you know. Among many other things, both good and bad, a member of the Livingston clan built Edgewater, a Greek Revival mansion overlooking the Hudson River that later became the abode for a time of Gore Vidal, who, as discussed previously on this blog and in an essay I wrote for Murder in the Closet (2017), briefly moonlighted in mystery fiction, under the pen name Egdar Box. 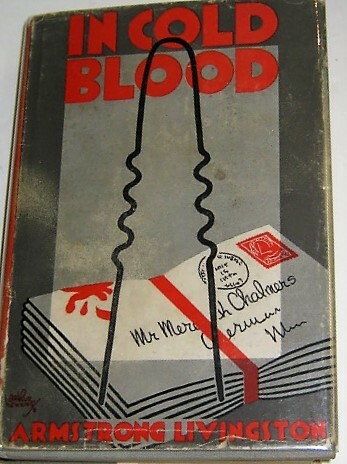 Oddly enough, the famous book that Armstrong Livingston's In Cold Blood really bears some resemblance to is Dashiell Hammett's bloody landmark mystery Red Harvest (1929), wherein a tough town is cleaned up (or perhaps more accurately wiped out) by an even tougher detective, the memorable Continental Op. To be sure, both Hammett and Livingston wrote for the American mystery pulps before turning to novels, but such different approaches the two men took to crime! Nevertheless, while Hammett is hard-boiled and Livingston is light-hearted, their two novels, separated by just two years, seethe with civic corruption and bloody murder. Livingston's favored series sleuth, private inquiry agent Jimmy Traynor, debuted in 1922 in The Mystery of the Twin Rubies, a highly classic tale that comes complete with country house and butler. By 1931, when he solved the series of murders in violence-riddled Prescott, "that thriving but ever sinful city of mid-western America," in the novel In Cold Blood, Jimmy had acquired an entourage composed of a vivacious flapper-ish wife, Denise; an always game spinster aunt, Matilda Landry; and, last but most definitely not least in my view, Jimmy's remarkable transvestite assistant, Tommy Hibbert. He was short and slender, very good-looking in a pink-and-white way, and although he was now in his twenty-fifth year no trace of down, much less anything so coarse as a hair, had come to mar the smoothness of his dimpled cheeks. 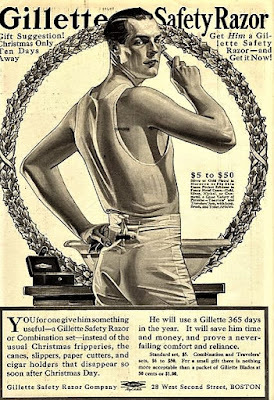 If in need of money--which he never was--he could readily have sold his likeness to one of those "a skin no razor should touch" advertisements. His was not only the famous schoolgirl complexion, but a complexion such as lamentably few schoolgirls have. Tommy's greatest passion is buying beautiful frocks and ravishing furs to gad about in (see the opening quotations to this piece). In this passion he is indulged by his boss Jimmy, who seems to employ Tommy mainly to "vamp" male suspects. And vamp Tommy does! Verily, Tommy is the Queen of the Vamps, a true Duchess of Drag. The 1920s saw an increase in the number of bohemian enclaves in rundown areas, such as New York's Greenwich Village. Painters, poets and performers were lured by the cheap rents and by an increasingly wild and lawless lifestyle. 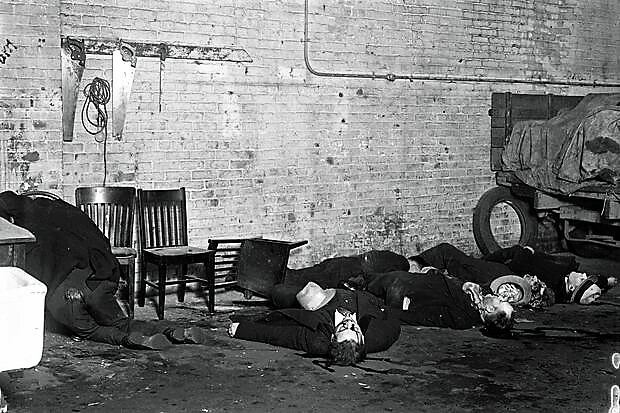 Prohibition had given birth to a black market for booze and a bustling underground scene, where bright young things slumming it in mob-run nightspots developed a taste for camp, cutting repartee. LGBT people were flocking to cities as much for the nightlife as for the ability to connect with others. Soon, Variety was reporting that Broadway "will have night places with 'pansies' as the main draw. Paris and Berlin have similar resorts, with the queers attracting the lays." In Berlin, you could hear singers performing Das Lila Lied (The Lavender Song), one of the earliest songs to celebrate homosexuality. performed as a woman in nightclubs,wearing gorgeous gowns made by his mother. As she stood back from the tall glass to survey every detail from the Nile-green slippers to the diamond ornament in her hair--bad taste, that, but she guessed Julian would admire it--she felt an artist's pride in the result. She would have given anything if Jimmy had been there to gasp his amazement. Was Armstrong Livingston ahead of his time, embracing the concept of "gender identity"? Perhaps he was ahead of this time, even. If these speculations strike some readers as too high-falutin', we can always scrutinize In Cold Blood as a mystery story, of course! While the novel is most distinguished by its naughty good humor amid mayhem and murder, there is genuine detection--along with an intuitive leap on the part of Jimmy that goes a bit too far, for my taste! In New York Jimmy is hired by the visiting Hannibal Partridge, the Prescott multimillionaire, to get his "youngest and only living child," Jessica Partridge (I enjoyed this euphonious mashup of icons Jessica Fletcher and Shirley Partridge), out of a jam. Although she has not been arrested, Miss Partridge is suspected by Prescott authorities and citizens alike (including even her boyfriend, it seems) of having committed double murders in their fair burg: firstly, that of thirtyish man-about-town and thorough "bad egg" Meredith Chambers (skull bashed with poker) and secondly, duplicitous French lady's maid (is there another kind in American and British crime fiction?) Marie Durant (stabbed between ribs). Squalid area this, by the station. Now we're running up Fenimore Street--remember the Fenimore Arms murder, Aunty? Here's Jalep Avenue, where Squint-Eye Solomon got his throat cut. Here's Jereboam Street--I forget just what happened there, but it was quite unpleasant....Bay Street--you recall the Bay Street Siege, Denise, when they had to turn out the militia and dynamite the house in which six gangsters with a machine-gun had taken refuge? Cooper Avenue, where they had that pitched battle between two rival gangs a month ago. Ah--now we're coming to the better districts! On your left is Canterbury Street, where that society debutante lived who garroted her mother because the old lady had alienated the affections of the daughter's boy-friend. Jimmy's comparison between Prescott's squalid and better districts is rather amusing, I think. You would almost get the impression that the good old U. S. of A. has had something of a history of violence. Just another day in the big city? Once in the middle twenties I was driving along the High Corniche Road through the twilight with the whole French Riviera twinkling on the sea below. As far ahead as I could see was Monte Carlo and though it was out of season and there were no Grand Dukes left to gamble, and E. Phillips Oppenheim was a fat, industrious man in my hotel, who lived in a bathrobe--the very name was so incorrigibly enchanting that I could only stop the car and like the Chinese whisper "Ah me! Ah me!" 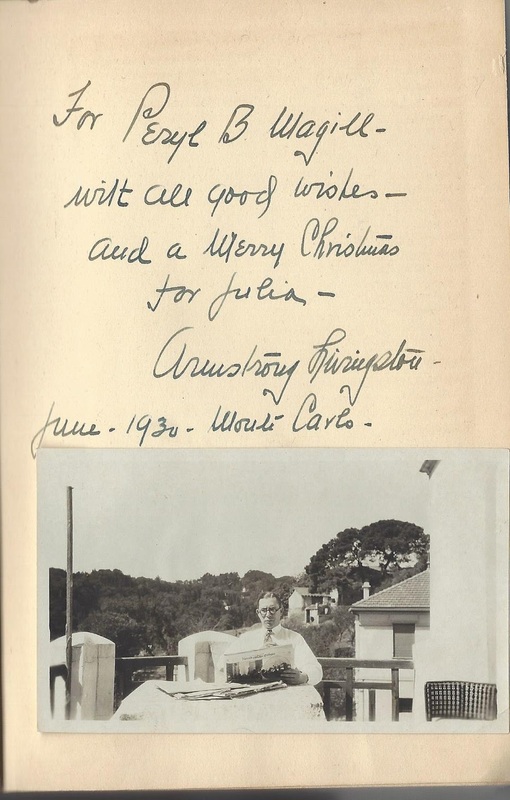 From Monte Carlo in 1930 crime writer Armstrong Livingston inscribed a copy of his 1929 mystery The Monster in the Pool to Peryl B. Magill (1889-1983), a southern California osteopathic physician and daughter of prominent Orange County rancher and Civil War veteran Cyrus Newton Magill. He bestowed "all good wishes" upon Dr. Magill and "a Merry Christmas" unto her younger sister, Julia. Pasted into the book, presumably by the author himself, is a photo of Livingston at table, newspapers spread out before him. The Paris Herald Tribune, mainstay of American expatriates in Continental Europe, is most prominently displayed. Although an expat himself, Livingston set most of the mysteries with which I am familiar--most of which appeared at the height of the Jazz Age and are of the "Murder? What fun!" school associated with A. A. Milne's The Red House Mystery (1922) and Agatha Christie's fizzy Tommy and Tuppence thrillers--in the United States. By the depressed 1930s, however, Livingston's writing career, like that of the admittedly more high-toned F. Scott Fitzgerald, had taken a downward turn, with only a few more novels by him ever appearing in print. By the time of his death, on February 7, 1948, when he was only 62, his occupation was given as "retired author." Golden Age authors of "classic"crime fiction in both the US and UK often have been derided as hoity-toity, and admittedly mystery authors in terms of family background do not come much hoitier or toitier than Robert Armstrong Livingston, who wrote crime fiction simply as Armstrong Livingston. Like the great vintage crime writer Rufus King, much beloved and blogged about at The Passing Tramp (as longtime readers of this blog will know), vintage crime writer Robert Armstrong Livingston, or "Ray" as he was known to family and intimate friends (possibly for his initials RA), came out of the top drawer of New York society--though within Livingston's particular drawer were representatives of the most prominent of old New York families imaginable. 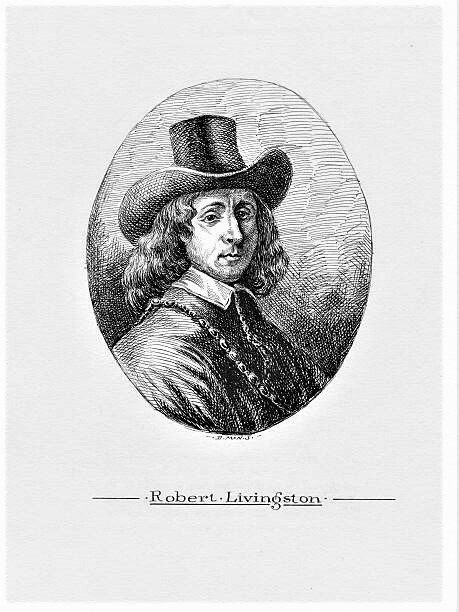 Ray was a gr-gr-gr-gr-gr-grandson of Robert Livingston the Younger, colonial merchant, mayor of Albany, New York and a nephew (in fact he was known as The Nephew) of Robert Livingston the Elder, owner of 160,000 acres of land along the Hudson River and the first "lord" of Livingston Manor. Through The Nephew Ray was related not only to Livingstons, of course, but additionally to such big-wigged families as the Roosevelts, Schuylers, Beekmans, Stuyvesants, Fishes, Van Rensselaers and Ten Broecks. Though still a young man, his ample wealth, high social standing, and remarkable ability as a jurist have won for him a popularity and a position in the county, which are hardly equaled by any. In these (putatively) democratic days, we at least like to appear less nakedky admiring in our praise of "ample wealth" and "high social standing" per se. Yet it certainly appears that Robert A. Livingston was not only wealthy and socially prominent but exceedingly able in his chosen profession of the law. Among the interesting criminal cases where Robert A. Livingston mounted successful defenses, securing acquittals for his clients, was that of Alexander Armstrong, a longtime African-American servant of Robert's prominent kinsman Cambridge Livingston. Alexander Armstrong stood accused of arson in the first degree, its having been established that he had repeatedly threatened to burn down the tenement in which he lived. A visiting African-American minister and his wife had testified that during their visit Armstrong had thrown a lamp at the ceiling, starting a conflagration in his room. Livingston was able to establish, however, that the clergyman had served time in Sing Sing Prison for assault and that on the night in question he and his wife had physically attacked the accused, during which scuffle the lamp had been upset, with a fiery result. A considerably better-known case with which Livingston became involved was his defense of railway brakeman George Melius, who had been charged with manslaughter in the fourth degree over the January (Friday the 13th) 1882 Spuyten Duyvil train disaster, in which eight people lost their lives in a train collision and devouring fire that took place in the dead of winter near the aptly named Spuyten Devil (Spouting Devil) Creek in the Bronx. young wife was perfectly free when her charred remains were discovered, and could easily have escaped from the burning car. But she would not leave her husband, who was caught by the debris, and, clinging to him, she died with him. They were found clasped in each other's arms, those arms being burnt to a crisp. horrible agonies he must have suffered before death released him--how fearfully he must have writhed with pain. The body was like the trunk of a charred tree; the arms were almost gone; the head was a calcined lump. Senator Wagner was identified in part by his intact gold watch, which bore the initials "W. W." Being a jaded mystery reader I'm reminded of all those Golden Age detective novels involving devious tricks performed with burnt bodies--see for example Freeman Wills Crofts's 1927 Inspector French and the Starvel Tragedy--but this was a real human tragedy, of course, not a fictional puzzle problem. It was poignantly reported that onlookers had rushed to the scene of the burning cars on that dark wintry night rolling snowballs, in a desperate effort to put out the flames--no firefighters having yet arrived. A frivolous children's playtime activity became a heroic act of rescue. It seems fortunate under the circumstances that so few passengers actually perished. 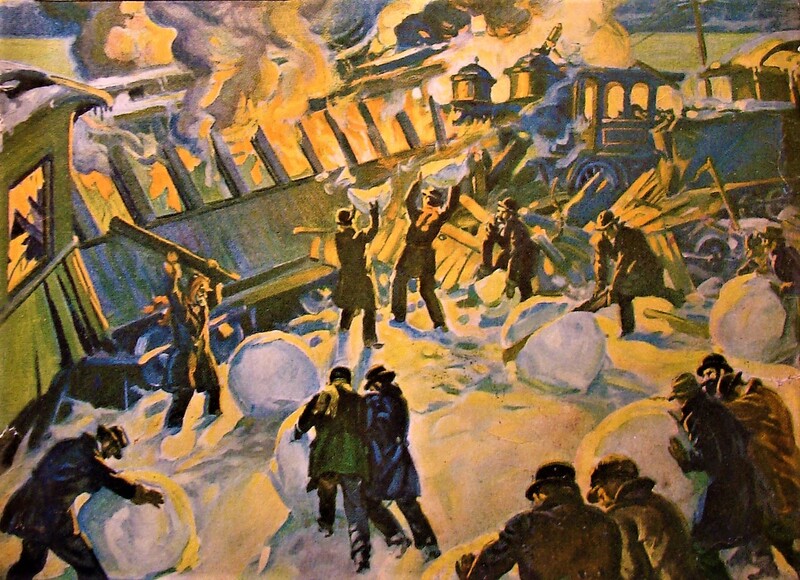 [a]lthough everyone felt that, but for the wretched parsimony of the company in heating the car with stoves, the train would not have caught fire and the majority of the lives saved, the company escaped scot-free. It was the Gilded Age, after all! Reflecting his social standing, Robert A. Livingston was a Republican and Episcopalian. He twice served in the State Assembly and was a serious contender for the Speakership. His death in 1913 before he had completed six decades of life no doubt foreshortened a most accomplished legal and political career. His son, Robert A. Livingston, Jr., or Ray, the future crime writer, was but 27 when his father expired, having been born to Livingston pere and his wife, Florence Olivia Scott of Ravenswood, Queens, on August 16, 1885. 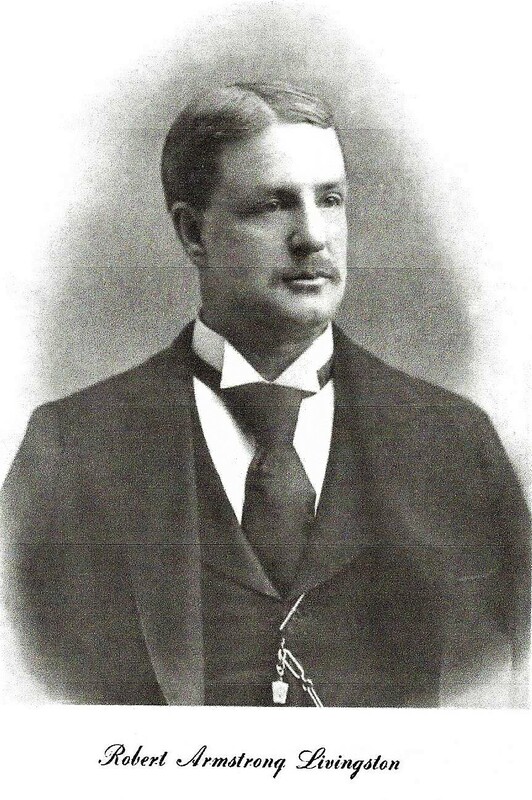 Only a couple of years prior to his father's death, Ray Livingston had married Gladys Patten Glover, daughter of John Milton and Catherine Augusta (Patten) Glover, a Missouri congressman and his heiress wife. Augusta Patten was one of five daughters of Irish Catholic Washington, DC society matron Anastasia Patten, widow of California Gold Rush millionaire Edmund Patten. Anastasia's daughter Augusta's 1887 marriage to John Milton Glover, though disapproved of by her sisters, who considered Glover an unsuitable match, was breathlessly heralded as the "most brilliant private social event of the season in this city, when the wealth, social position and surroundings of the parties are considered...." The bride's doting mother was said to have presented the newlyweds with $100,000 as a wedding gift. A Republican and Episcopalian like his father, Ray Livingston had been educated at St. George's School in Newport, Rhode Island, where his parents had another home (it seems that while Gladys enjoyed summering in Newport, Robert liked fishing in Maine), after which he entered the insurance, and later the brokerage, business. Four years after his marriage to Gladys, however, the couple departed to the Atlantic island of Bermuda (previous to this time they lived in Woodmere, Long Island), where during the war years they resided at a house called "The Moorings" and Ray began writing pulp crime fiction. 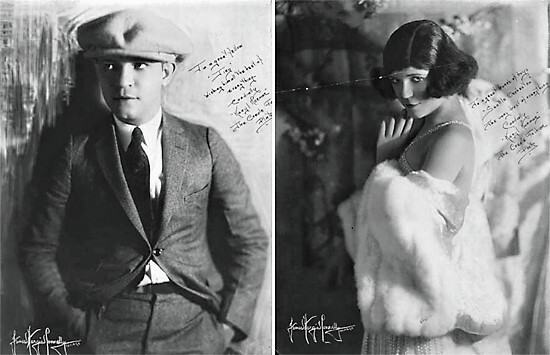 For the first half of the 1920s the couple lived in Algiers, but by 1926 Ray and Gladys presumably had divorced, for that year in Manhattan Ray wed Ruth Stevens Dorr. In 1930 he was living in Monaco, but by 1942 he was back in Manhattan, seemingly single and retired. He died six years later and was buried in the historic Greenwood cemetery in Brooklyn, the final resting place of many of his ancestors and more distant relations. I plan to say more about Livingston's crime fiction in a future post, but for now I will simply list his known crime novels.